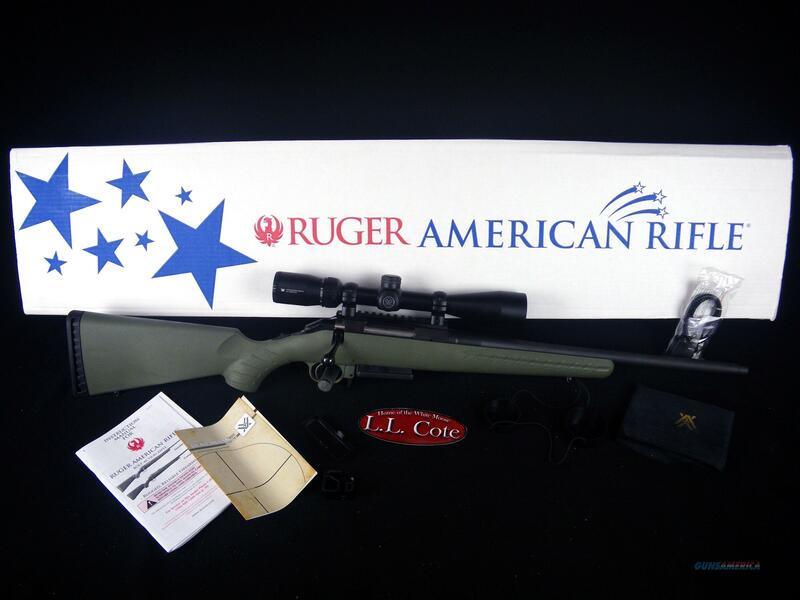 Description: You are bidding on a Ruger American Rifle with Vortex Crossfire II Riflescope in 308 Win with an 18" Barrel. Equipped with a factory-installed Vortex® Crossfire II® riflescope with the Dead-Hold BDC reticle. Ergonomic, lightweight synthetic stock designed for quick, easy handling blends a classic look with modern forend contouring and grip serrations. Ruger Marksman Adjustable™ trigger offers a crisp release with a pull weight that is user adjustable between 3 and 5 pounds, allowing shooters to make that perfect shot. The one-piece, three-lug bolt with 70° throw provides ample scope clearance and utilizes a full diameter bolt body and dual cocking cams for smooth, easy cycling from the shoulder. Patent-pending Power Bedding®, integral bedding block system positively locates the receiver and free-floats the barrel for outstanding accuracy. Offers minute-of-angle accuracy that can make every hunt a success. Cold hammer-forged barrel results in ultra- precise rifling that provides exceptional accuracy, longevity and easy cleaning. Features a visible, accessible and easy-to-actuate tang safety that provides instant security. Soft rubber buttpad is crafted for maximum recoil reduction. Also includes - magazine; sling swivel studs. Displayed images are stock photos. Any questions please feel free to ask (our phone number is in the additional information tab above).